A cut above the standard, the Chris Reeve Small Sebenza 21 CGG Circuits is an exceptional blend of style and substance. 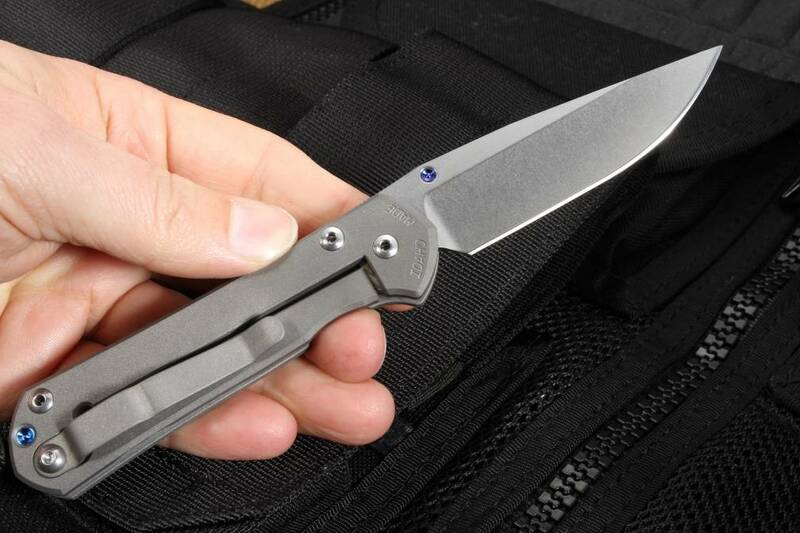 Throughout the development of the Sebenza 21 line, Chris Reeve sought to improve the aesthetic appeal and finer details of each knife, creating unique designs for all tastes. 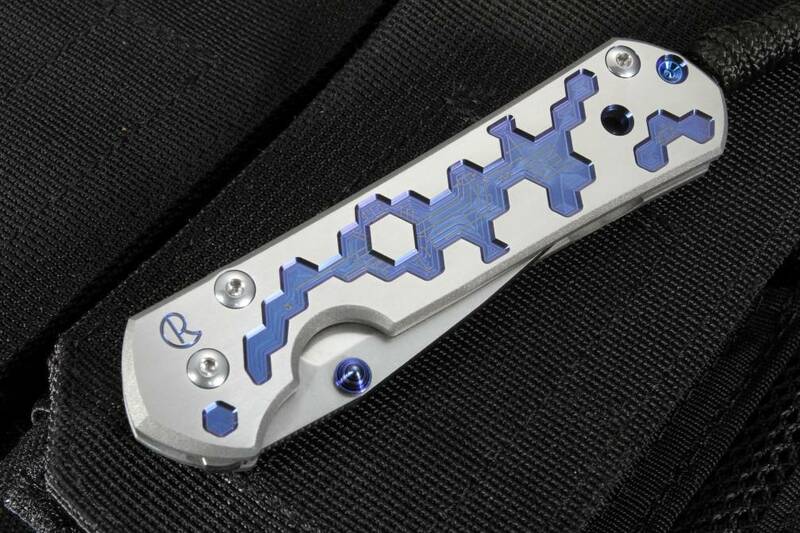 The Circuits pattern small sebenza features a hexagon pattern, radiant blue anodization and a higher level fit and finish from a standard small sebenza. Computer Generated Graphics, or CGG, create a high-tech, modern appeal, and Perception's machine-patterned, anodized titanium handle motif and satin-finished flats offer a futuristic feel and a sophisticated profile. 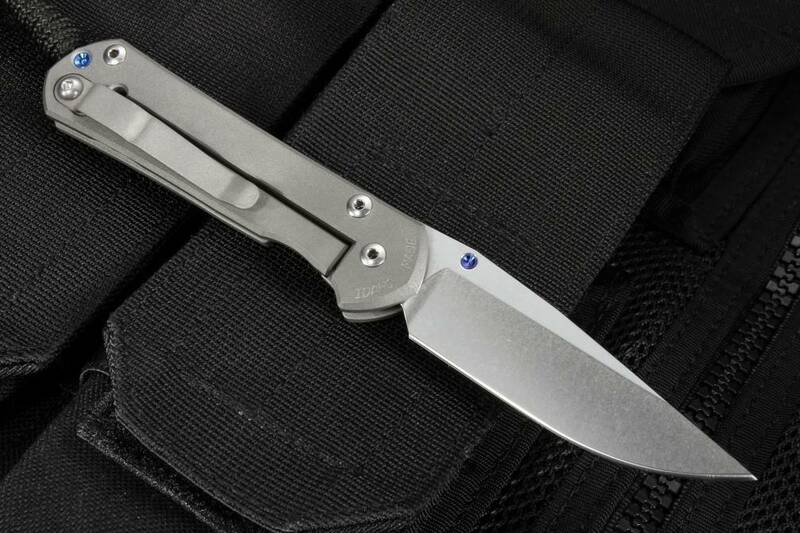 Combined with a 3 inch, polished S35-VN stainless steel, drop point blade and razor-sharp, hollow grinds, this folding knife has a classy, sleek, and solid silhouette. 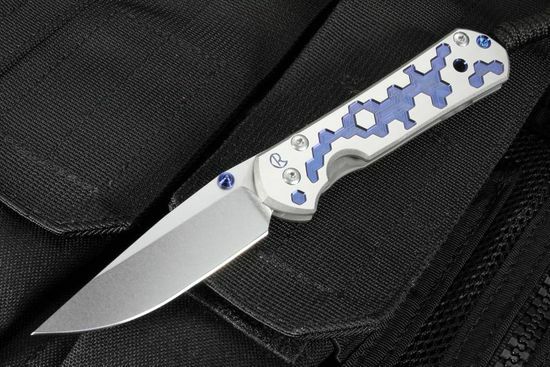 With a lightweight, but sturdy, titanium construction, this compact knife weighs a mere 2.8 ounces, and has a folded length of 4 inches, making it perfect for carrying. Without sacrificing performance, the file worked thumb rest allows for secure handling and grip, while the standard integral lock feature and tip-up pocket clip ensure protected pocket carry. This CGG edition also comes with a brown leather slipcase for protected carry in your pocket. One of the most trusted names in the industry, Chris Reeve Knives became synonymous with excellence and craftsmanship. Without sacrificing practicality, Chris Reeve elevated his designs to iconic pieces with artistic flair, earning him awards and induction into the Cutlery Hall of Fame. As an authorized dealer, KnifeArt.com is proud to offer the Circuits CGG Sebenza, and with same-day shipping and hassle-free returns, you can shop with confidence. 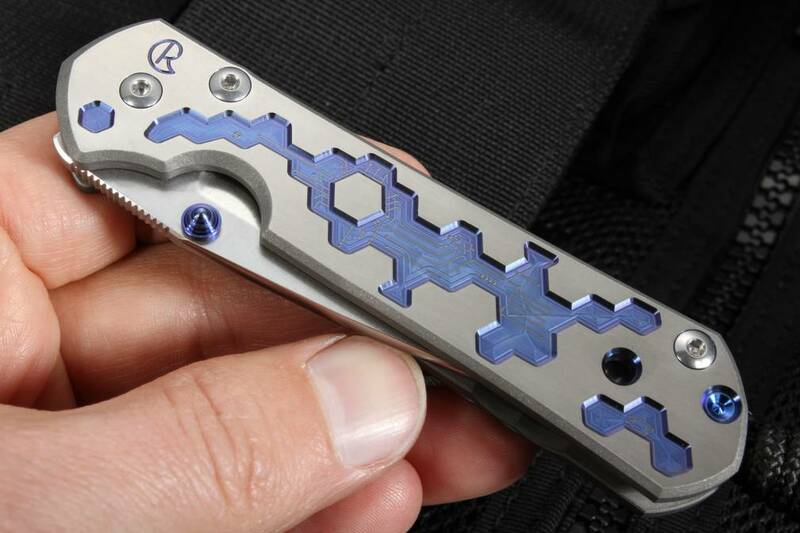 Check out KnifeArt.com for the full Chris Reeve's collection, as well as an extensive selection of other tactical products and accessories from the best names in the industry.